For those looking for guidance, clarity and support on their life mission. During this initial meeting Sinéad will read your energies to connect with any form in which has been stopping you from achieving your goals and dreams. After relaying her findings, Sinéad will devise a clear strategy that will not only encourage you but empower you to follow your dreams and to exceed in your goals. For those suffering from stress, anxiety and who are often surrounded by high pressure environments, this treatment will help to rationalise thoughts, calm nerves and will provide you with effective coping strategies in order to manage and balance your lifestyle. Outlining a strong and clear direction for you to take to achieve your goals and deal with everyday pressures of life, Sinéad will read your energy to determine the energetic cause of an issue or concern. She will then determine her treatment based on the best possible healing solutions for you and your situation. Targeted massage techniques and a combination of holistic therapies will complement the treatment, helping you to instantly relax, realign with your inner self and identify with the positivity that Sinéad will encourage in you. Focusing on the health and movement of the body, muscles and mind, this treatment targets any areas of concern, together with any stress points, aches and pains you may be experiencing. Using her gifted intuition effective energy healing techniques, Sinéad will identify any problems areas and treat using stimulating massage techniques. Following the treatment, Sinéad will provide you with effective coping mechanisms and tools to prevent the reasons causing these tensions. She will also suggest small changes you can make in your life to improve your overall body balance and encourage the natural healing of the body. Working on both your physical and emotional energy, Sinead will start by reading your energy to determine energy blocks or concerns, then relay her findings. Through the power of reflexology and her own natural healing gift, Sinead will send waves of energy through you in order to balance your body and harmonise your overall energy levels. You will leave feeling light, grounded and in a state of bliss. For those looking to start a family, those who are already pregnant and in their third trimester and/or for new Mother's, this treatment provides you with the comfort and support that you need to manage yourcurrent situation. 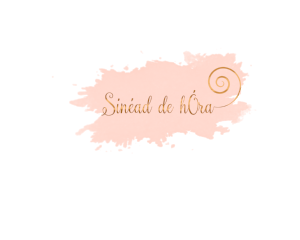 During the treatment, Sinéad will focus her healing energy to create a sense of harmony amongst mother and baby. Combined with gentle, muscle relaxing massage techniques on the lower back, lower legs, feet, neck and shoulders, Sinéad will help to reduce stress both physically and mentally. With the aim to improve the health of the client, nurture and guide the mother and baby, and provide a sense of balance, this treatment, like a warm hug, will comfort you in ways beyond the expected. This exclusive bridal package has been designed to help eliminate stress, improve sleeping patterns, and to maintain and over all balance in your mind and body in the lead up to your big day. This treatment will help to rationalise thoughts, calm your wedding jitters and it will provide you with the effecting coping mechanisms in order to manage and balance your lifestyle before and after you say “I do”. Outlining a strong and clear direction for you to take to achieve you goals and deal with everyday pressures of life, Sinéad will channel her energy into yours so that she can read what you are feeling on both an emotional and physical level. She will then determine her treatment based on the best possible healing solutions for you. Targeted massage techniques and effective alternative therapies will complement the treatment, helping you to instantly relax, realign with your inner self and identify with the positivity that Sinéad will encourage in you. Focusing on the health and movement of the body, muscles and mind, this treatment targets any areas of concern, together with any stress points to gain an over all feeling of stillness and strength. Using her gifted intuition and effective energy healing techniques, Sinéad will connect with your energy to tailor a treatment specifically to your needs where she will use stimulating massage techniques in order to relax, calm your mind and cocoon your body with an over all sense of stillness. Following the treatment, Sinéad will provide you with effective tools and techniques to encourage you on your life journey in preparation for the transition that you are about to embark on. Healing and energy balancing continues to enhance your body up to 48 hours after your treatment. Sinéad will offer you full support and comfort by contacting you two days after your treatment in order to monitor your progress and to guide you on your unique journey to ensure maximum results from your treatments.